According to a new report from South Korean outlet The Investor, LG's VP and CEO Jo Seong-jin has ordered the company's mobile division to start work on its upcoming flagship device from scratch. Citing an anonymous LG official, following CES 2018 the team responsible for the development of the upcoming flagship device which might not be called the G7 after all has been instructed to cease the development and review the project from the ground up. It seems that the development team received word on these recent developings promptly after LG's CEO revealed that the company won't be launching new devices for the sake of it just to have an answer ready for its direct competitors, namely Samsung, which is a dire decision intended to stop LG's mobile division from spilling red ink. This almost certainly means that the G7 or whatever the next smartphone is called won't be announced at the upcoming MWC trade show which has been an LG tradition for the past few years. 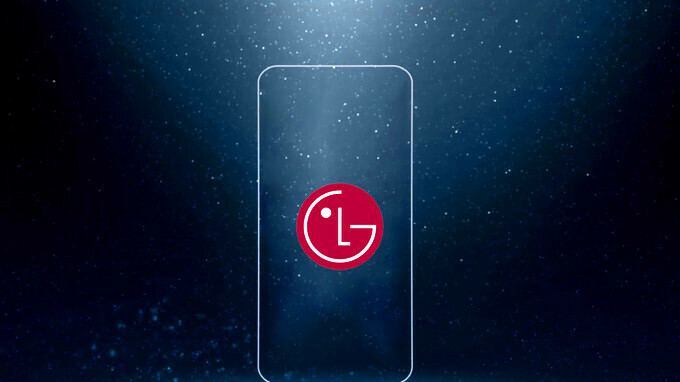 Of course, with all the rumors about LG's uncertain plans for a next flagship, anything is possible, and it makes perfect sense that the company would want to release a fleshed-out and carefully though-out product. However, take this rumor with a grain of salt. We've reached out to LG for a comment and we will update this post should we hear anything official on the mater. Exactly this. Plus a better camera and that's all I need! All companies should make new phone when they have really new good feautres not just because they want to make new phone with same design and same features! LED notification light & front under glass fingerprint sensor please. If the phone is ready, why not release it? Because if it's not up to snuff they'd lose money? Make sense, in a way that they cannot compete with Samsung. The cameras were always good on LG. Especially when they are one of the only ones that give you wide angle instead of telephoto. Give me a wide angle camera over a telephoto camera anyway. No one is talking about the wide angle lens, he is talking about picture quality. The V30 and G6 showed lots of weaknesses when compared to other top flagships in term of picture quality. Having versatile video shooting modes and wide angle lens isn't an excuse for this. The cameras we're good on both the G5 and G6. They are one of the only smartphone OEMs to put a wide angle camera on their devices. Everyone else puts stupid telephoto cameras on their smartphones. I can do more with a wide angle camera than a telephoto camera. The G5 tried something new by bring a modular smartphone design. At least they are not scared to try new things. Unlike other companies that wait, or never try new things at all. Also LG is currently the only other OEM that makes OLED displays right now. Why are you being so defensive? No one here criticized the wide angle lense camera, yet you act like they did whenever they mention the average picture quality of the G6 and V30 when compared to other top flagships. And bringing an unfinished concept like modular phones isn't a good thing no matter how hard you want to convince yourself that it is, or else you wouldn't have seen it die with the G5. If they remove the headphone jack they will lose me as well as many of their other customers. I've liked LG phones lately because they have kept things that others are taking off of their phones. Removing the headphone jack is pointless and just a play to get you to spend money on wireless headphones. The weak excuse of doing it to have a bigger battery is bogus. Besides some head-scratching strategic decisions made with the G6, their bigger problem seems to be marketing. I can only speak for myself, but I get amazing videos with the V30. LG needs completely redo UI as it looks primitive, tasteless and outdated. Also face recognition is slow and often inaccurate. Fingerprint scanner on the back is not as convenient as front one or one under the screen... Tap to wake and tap to sleep with no dedicated button on the side of the device is not for everyone's taste. I believe LG can improve all these and some other shortcomings because in general G6 and V30 are great devices ( G6 is especially great after significant price drop). It wouldn't be a bad idea for them to start over, give them time to see exactly what Samsung does with the S9 as well as potentially have access to the newer processor since Samsung gets first dibs at them. "recent developings" Even my Indian English dictionary marked this as gibberish. Good step... No need to rush things...Design it. polish it, make it better than the already released competitor and release it... Market it to be the best.